Here's one of the main reasons I want to go to France - to take photos of beautiful landscapes and majestic castles! There are several good reasons as to why millions of travelers’ head for France every year. After all, they get to explore one of the most popular destinations in the world. The food, the art, the architecture of France makes it rich with scenic and photogenic spots that are sure to create a lifetime of memories. There are luxury ski chalet in France that make for an impressive and perfect base for a holiday. Excellent views and a friendly and professional staff are a norm here at the holiday accommodations. 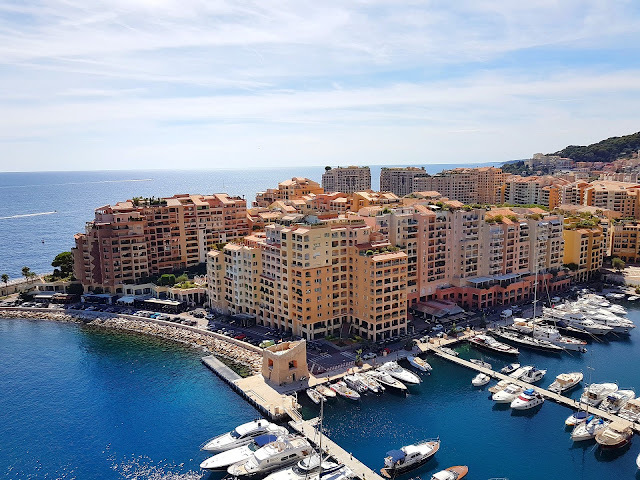 With so many amazing places to explore and visit in France, those beautiful cities, charming villages and breathtaking natural attractions are sure to keep you wowed during your holiday. The gorgeously diverse landscape filled with acres of green countryside and colossal mountain ranges truly make for an exceptional scenery. Here are some of the most stunning spots in France that are worst visiting and capturing in your camera. Loire Valley boasts of an outstanding natural beauty. 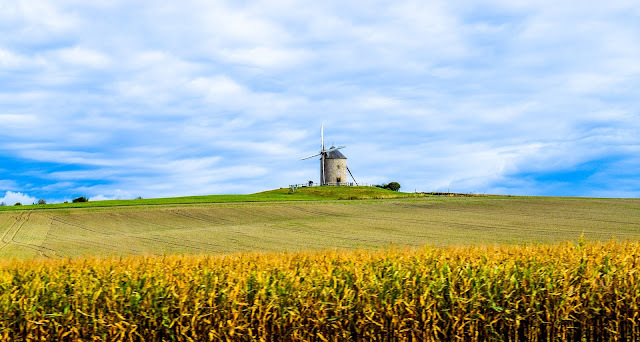 Popularly known as the garden of France, the beautiful stretch of the valley starches across hundreds of km and is located in the central France. Dotted with culturally and historically significant architecture, Loire Valley has rightfully earned a world heritage site status. With its wide collection of fairytale-esque chateaus and mansions, it is no wonder to see it as one of the most frequented places in France. The beautiful landscapes and most striking rivers definitely make the Loire Valley a bourgeois paradise as well as the most photogenic spot. 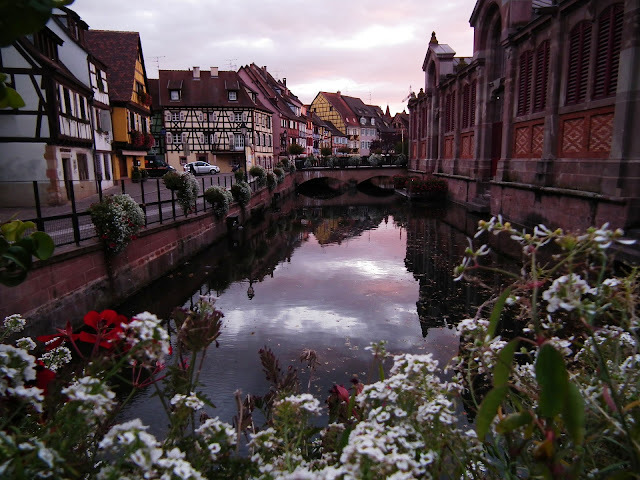 Colmar is full of colors, and it is indeed a delight to capture the rows of brightly painted houses as well as the bright flower-lined canals in your camera. Bordering Germany, the town is famous as the wine capital of the Alsace region. It is also famous being the birthplace of Frederic Auguste Bartholdi, who designed the Statue of Liberty. There is plenty to do and see in the charming, colorful town. 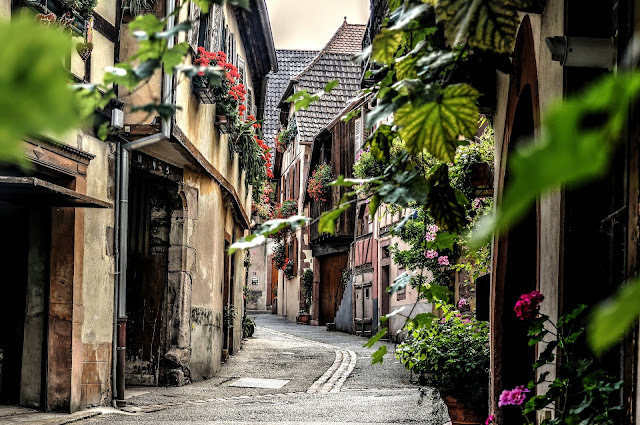 The adorable French town looks like a well preserved medieval village. Walk on those cobblestone streets, amidst an abundance of overflowing flower pots. It feels like you are in a fairy-tale land. Enjoy the sun-soaked Mediterranean coastline of the glamorous region that lies towards the southeast. Even the legendary writers and artists such as Pablo Picasso and Henri Matisse have not been able to resist the pull of the French Riviera. The azure waters along miles of gorgeous coastline certainly make it one of the most captivating spots of France. 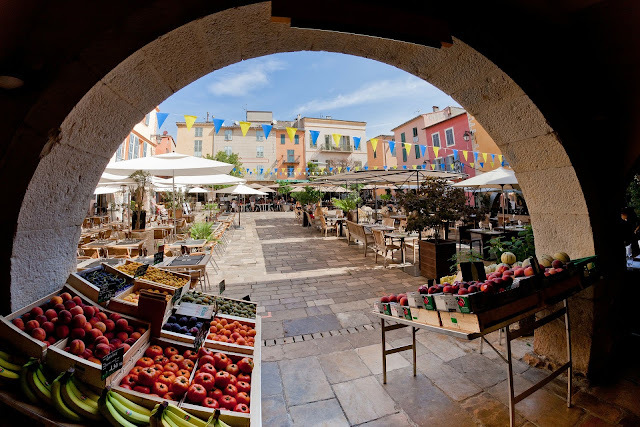 You can explore the stylish coastal cities of Nice, St-Tropez, and Cannes. The southeast coast of Provence is dotted with some of the most popular beaches and destinations. You are likely to come across celebrity homes such as Brigitte Bardot and Elton John in the region. 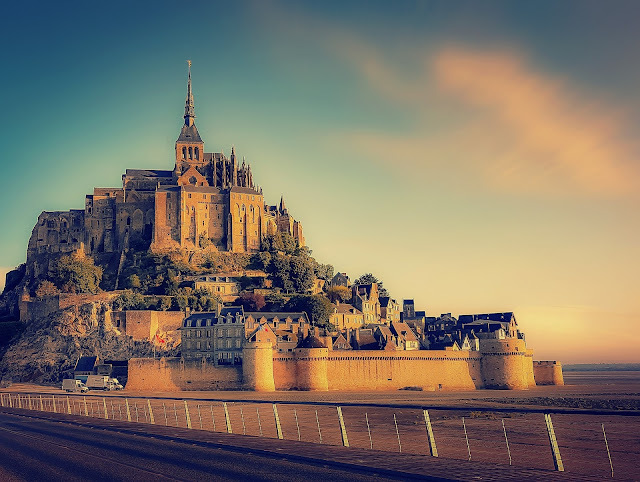 Mont Saint Michel is a UNESCO World Heritage and one of the top pilgrimage sites of Christendom over the centuries. Located in the northwest France's Normandy region and rising 600 meters off, it is home to a medieval monastery, and attracts more than three million visitors every year! Tides cut off the road that links the island to the mainland and thus only add to the excitement. For centuries, the devout Christians have been coming here to make a great pilgrimage once in their lifetimes. The church, based on 11th-century Romanesque makes for an extraordinary construction. The shallow bay fed by the Couesnon River stretches from Normandy to Brittany and is like a historic border between the two lands. Situated on the borders of Normandy, the rural idyll riverside town is most famous for being the birthplace of impressionism. Claude Monet looked at the small village for inspiration and painted beautiful country gardens and pink shutter-board houses from his cherished country retreat. 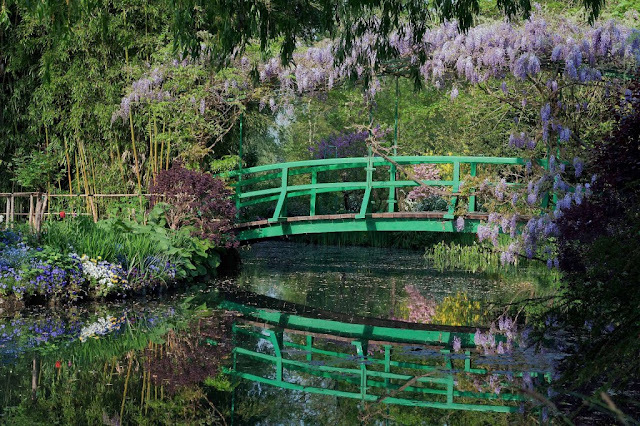 The walled water garden was planted by Monet himself and is filled with lilies, weeping willows, bamboo, white and purple wisterias, and of course the iconic green Japanese bridge. Monet lived for more than four decades in this picturesque town. He carried a passion for both colors and gardens. One can feel the atmosphere as one walks through his house and gardens and how the natural surrounding must have kept him inspired. Perfect getaway for traveling couples. 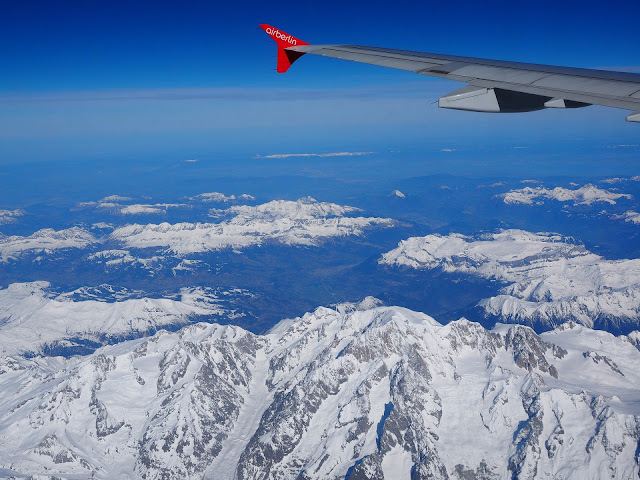 Mont Blanc, towering well over the Alps with its 4,810 meters, is indeed the birthplace of modern mountaineering. The 11th highest mountain in the world indeed carries the most formidable reputation. Chamonix, located nearby remains one of the most popular ski destinations. 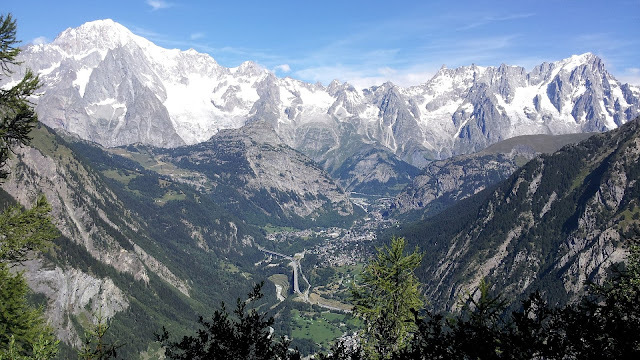 Mont Blanc extends southwestward from Martigny and reaches into Switzerland. Covered by glaciers, the name Mont Blanc means “white mountain.” The Mer de Glace, the second longest glacier in the Alps can be found here. The region boasts of the largest Alpine tourist center, as it is dotted with aerial tramways and carries the latest facilities for winter sports. 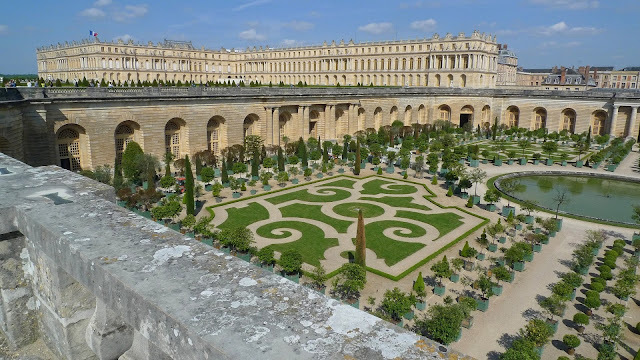 Palace of Versailles lies in the wealthy suburb of Paris and remains an important administrative center. 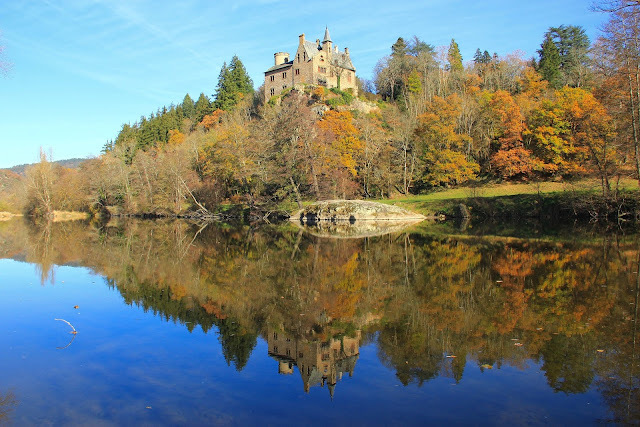 Most famous for its chateau, it is indeed a proud tourist attraction in its own right. The grand and ornate Palace was once home to the legendary kings of France, such as Louis XVI and his wife, Marie Antoinette. 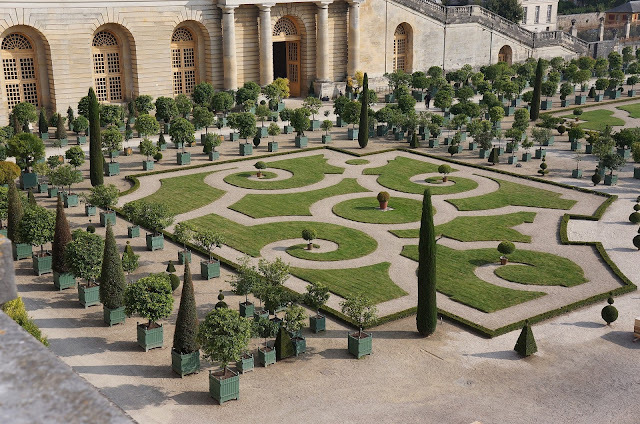 The immaculate palace comes with perfectly manicured gardens. The palace indeed looks extraordinary and offers a valuable insight into the lives of 18th-century French royalty. Versailles remained one of the grandest theatres of European absolutism, right at the center of the French court.